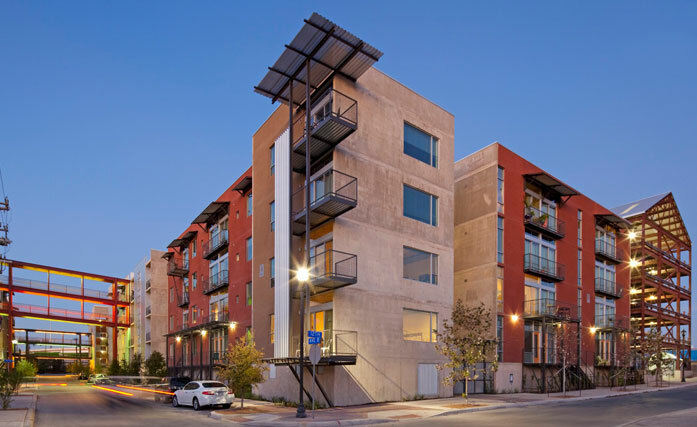 1221 is THE industrial, urban experience in San Antonio and is the 2018 SA Current Apartment Community of the Year. It is a vibrant, community-oriented apartment complex offering upscale living options for one, two and three bedroom luxury studio options. The attention to detail extends to the numerous amenities offered here ranging from two fitness centers to a rooftop pool that offers unmatched views of the skyline and SAMA. Situated at a premiere location off of Broadway within walking distance from the Pearl. Our residents have the best of both worlds with intense walkability and abundant parking.